After a session, it takes me roughly 1-2 weeks to turnaround your images and have them ready to view. I often get asked ‘what do you actually do to the images’, or ‘how much editing do they need’ so I thought i’d write this little guide to give you an insight to my workflow post session. Step 1 – backup backup backup. Your images are super important so the very first thing I do is make backup copies. My camera automatically saves every image to two memory cards so in the event one should fail I always have another copy to fall back on. From there, your images are copied to my computers ‘working hard drive’. They’re also copied to another ‘active’ backup hard drive, an ‘archive drive’ which is stored off site, and finally an online cloud backup. Phew, they’re backed up! On with the edit. Step 2 – Cull the images. This means narrowing them down, typically from around 300 images to the 40 or so you get to choose from. This process involves reviewing each image for things such as exposure, focus, lighting, expressions & blinks and then removing those which fail to meet quality criteria or are duplicates. Now we have the final selection to edit. Step 3 – Colour grading and basic adjustments. 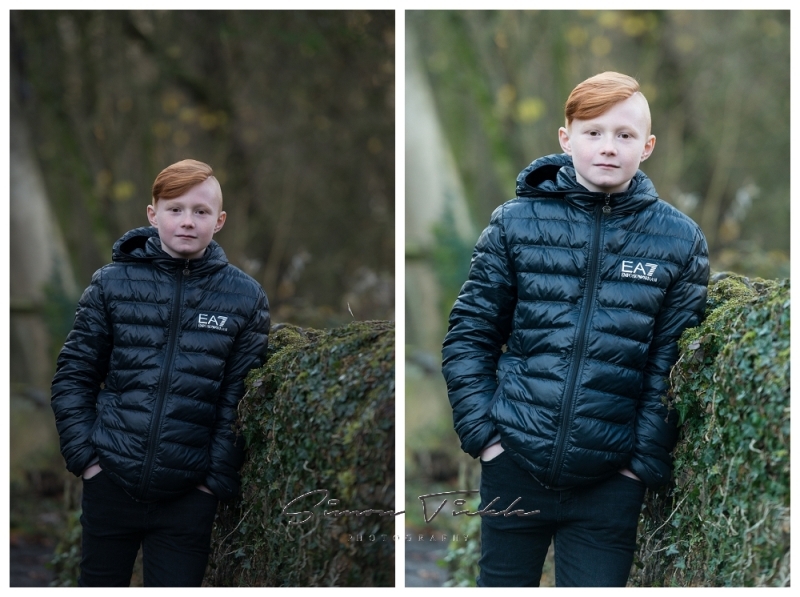 Everyday items such as grass fields, red brick walls or bright clothing can all leave colour casts on the subject so the first step of the editing process is to remove any casts and ‘neutralise’ the images. At this point, I also make any basic adjustments such as cropping, straightening, and exposure corrections. In this image, I have cropped in slightly, increased the exposure, removed the magenta cast, warmed the image, boosted the highlights curve to even the skin tone, corrected minor lens distortions and finally sharpened the key details. If necessary, any retouching work is carried out. This may include removing skin blemishes or eyeglass glare for example. I’ll also convert a few of your images to Black and White at this stage. At this point, the finished edited images are ‘exported’ as high res jpg files, and these final images are backed up in the same way the original raw files were. Finally, I prepare your slideshow video for viewing and will contact you to arrange your viewing session. I hope this guide provides you with an interesting insight into what actually happens once your session is complete. If you are interested in booking a portrait session with me, why not drop me a message. I’d love to work with you in the future.